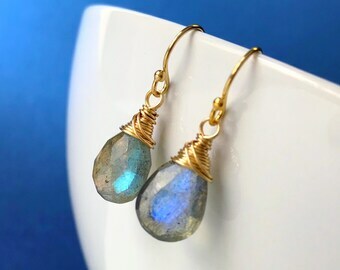 .Perfect droplets of flashing moonstone are secured to super minimal posts so as not to detract from the intense glow of these fiery gems. 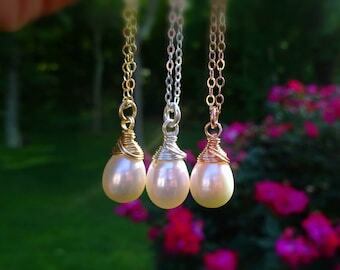 Dainty in size but big on color, these petite pear shaped cabachons are 7x9mm. 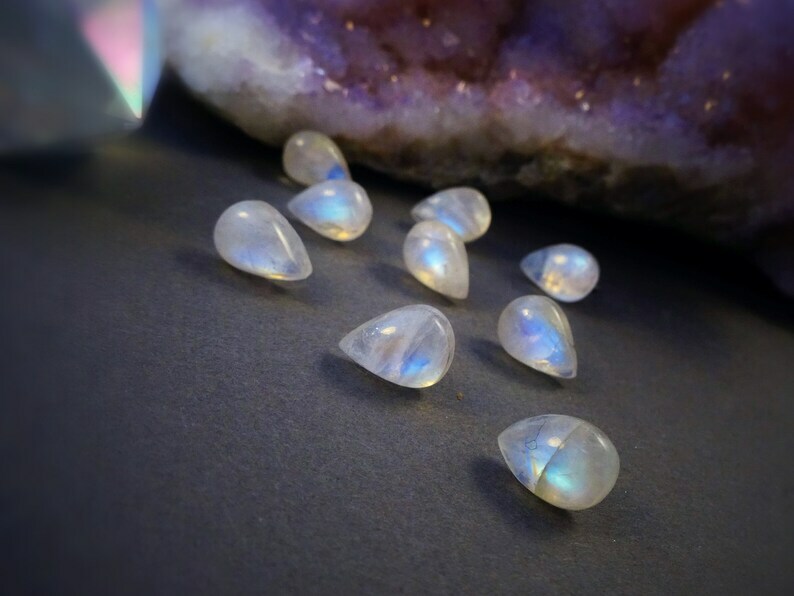 Moonstone is one of the birthstone options for the month of June and is said to be the gemstone that represents the feminine energy. An intensifier of intuition and talisman of the Sioux moon goddess. 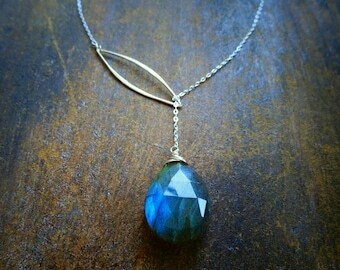 Highly sought for its healing energy as well as it’s incredible inner glow, this gemstone is a favorite for good reason. These earrings are available in sterling silver or 14k gold fill. Both metals are heirloom quality and will not cause skin irritations or change color. Wearable every single day, these will be the earrings you’ll never take off. 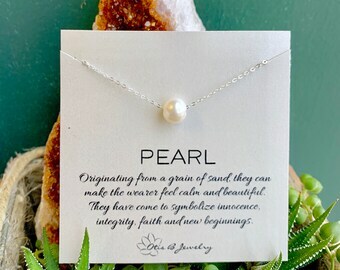 The earrings will arrive gift boxed and wrapped, along with a protective storage bag and care instructions. Order this item with or without the descriptive card shown.